Like most events with Bollywood stars, the Shoppiesta Finale featuring Shahid Kapoor, Priyanka Chopra, Deepika Padukone, Malaika Arora Khan and Jacqueline Fernnadez began hours past the scheduled time on September 4. The audience at Meydan waited over two hours to see their fave stars but it was worth it in the end. When Jacqueline (the first of the T’town line-up) finally came on stage after performances by Kelly Rowland and T-Pain, it was almost 12am but the energy she and the other celebs brought, got the audience going. Jackie grooved to her ‘Housefull’ hit Dhanno, ‘Sheila Ki Jawani’, and a medley of ‘Murder 2’ songs (which was a bit odd considering they aren’t really dance number) followed by the always amazing Malaika who brought the house down with ‘Munni Badnaam Hui’, ‘Ibn Battuta’ and ‘Honth Raseeley’ from ‘Welcome’. Then it was time for the big three. Priyanka Chopra, rockstar in the making, showed she’s really got what it takes to get a crowd on its feet as she danced to ‘Anjaana Anjaani’, her ‘Dostana’ hit ‘Desi Girl’, and did a cute segment with children to an Arabic song. The gorgeous Deepika Padukone was just as good, moving to ‘Bachna Ae Haseenon’, ‘Chor Bazaari’, ‘Oh Girl You Are Mine’ and her very own item number ‘Dum Maaro Dum’. 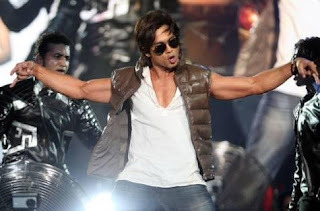 And then there was the man of the ‘Mausam’ - Shahid Kapoor. 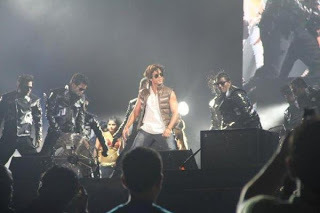 Sasha made his entry with that super cool ‘Kaminey’ number ‘Dhan Te Nan’ and then showed off some funky moves to songs from his new movie that releases September 16. The night was high on star power, but who was the true hot fave with the Dubai audience? Well, the loudest cheers were for Shahid Kapoor and Priyanka Chopra. With their electrifying performances and amazing stage presence, the duo was dynamite. 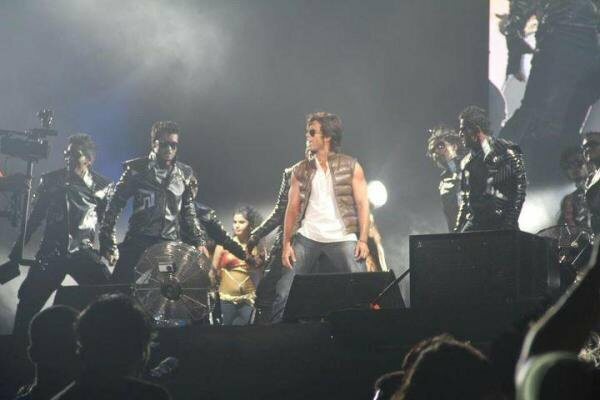 Despite their packed schedules and little time for rehearsals, they rocked in true superstar style. Shahid posted on his Twitter page, “Thank u Dubai for being such a wonderful audience ..... Napping for 2 hours before I head off to the airport back to Mumbai n back to ‘Mausam’."